A loan of $1,025 helped buy corn at wholesale, powdered lime, bags, and other items for her tortilla sales. Alejandra, originally from the city of Leon, is the mother of 2 children. She is a merchant, dedicated with great effort to making and selling tortillas. Alejandra is grateful to Kiva and Micredito because through their loans, she has improved the infrastructure of her business, augmented sales, and increased her earnings. 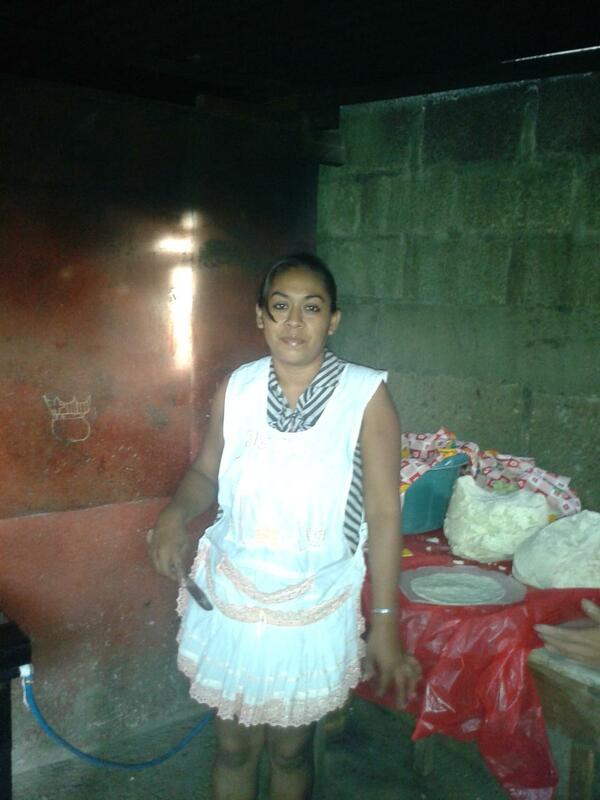 Alejandra is requesting a new loan to purchase at wholesale the principle products needed for making tortillas, including corn, powdered lime, and bags, among other items. She wants to meet customer demand. Alejandra believes this loan will help increase her income and expand sales, guaranteeing her family a better quality of life. Translated from Spanish by Kiva volunteer Harold Dana Sims, PhD. View original language description. Alejandra es madre de 2 hijos, originaria de la ciudad de Leon. Es de oficio comerciante, dedicada con mucho esfuerzo a la elaboración y venta de tortillas. Esta agradecida con Kiva y Micrédito ya atraves del credito logro mejorar la infraestructura de su negocio, aumentar sus ventas e incrementar sus ganancias. Solicita un nuevo crédito para comprar los productos principales de elaboración de tortillas tales como: Maíz al por mayor, cal, bolsas, entre otros Con el fin de cumplir con la demanda de los clientes. Estima que este crédito le ayudara a incrementar sus ingresos y crecer sus ventas, además de garantizar una mejor calidad de vida a su familia. Nicaragua is experiencing a political crisis. Protests have resulted in the loss of life and a partial economic paralyzation of the country. Kiva is committed to supporting our field partners and borrowers during this difficult time. However, should you choose to lend to a borrower in Nicaragua, please be aware that the political unrest poses extra risk for both borrowers and Kiva field partners. Delinquency rates in Nicaragua could increase while the crisis is ongoing. Kiva partners with MiCredito because of their willingness to use Kiva funds to develop new, innovative products and/or to serve new populations. For example, with Kiva funding, MiCredito has launched a student loan product, a water and sanitation loan product, and even opened a branch in Costa Rica to serve the many Nicaraguan refugees and economic migrants living there.